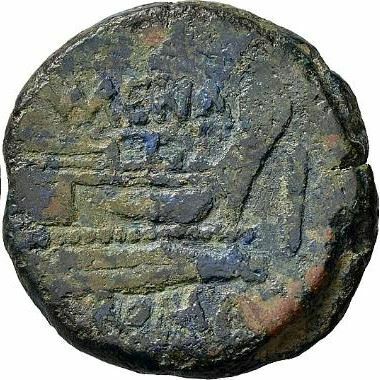 L. Licinius Murena was one of the moneyers for the years 169-158 BC. He later served as commissioner to L. Mummius, Consul in 146 BC, and may have served as Praetor. His family of the Licinii bore the surname Murena (sometimes, but erroneously, written Muraena), referring to the sea-fish known as the murry or lamprey, a prized delicacy since ancient times. This family came from the city of Lanuvium, to the southeast of Rome, and was said to have acquired its name because one of its members had a great liking for lampreys, and built tanks for them.